Warble Wharf, Hyde, Cheshire. Spring 2013. Photograph given the retro treatment, creating a vintage feel. 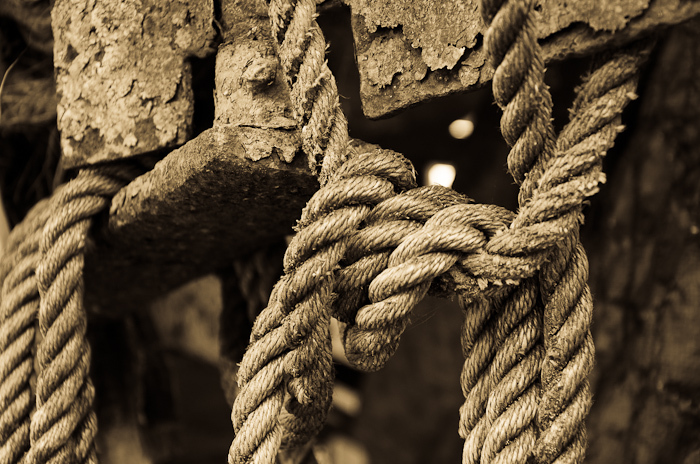 Industrial shot: rope and rusting metal in an old canal narrow-boat repair yard. Photo by Stephen Riley.